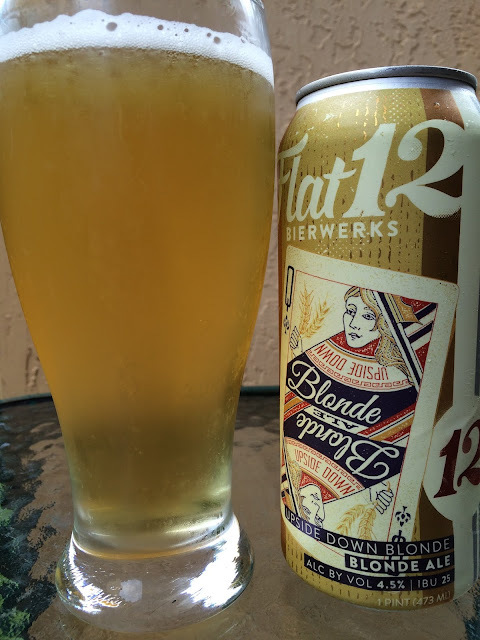 I just grabbed a pounder can of Upside Down Blonde from Flat12 Bierworks. The label shows this beer as the Queen of Hops playing card. A little story lets you know what to expect. 4.5% alcohol. 23 IBU. 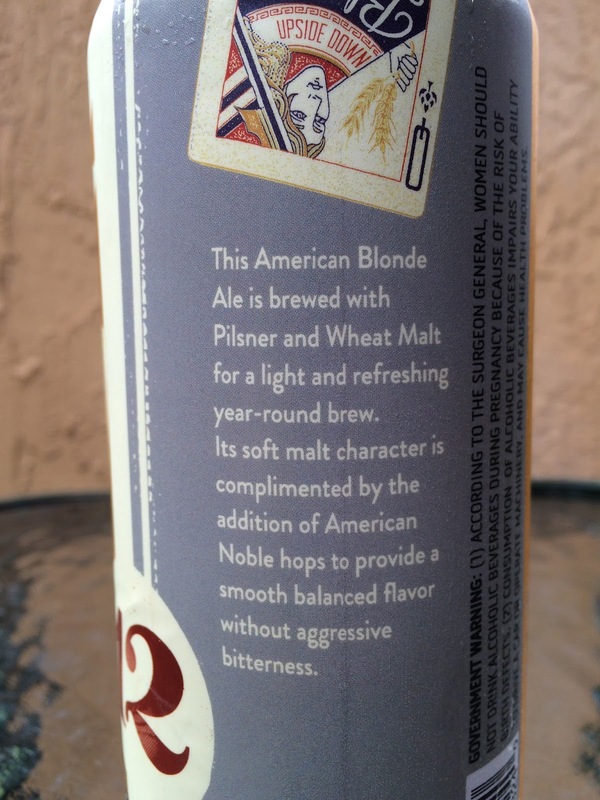 Sweet grain, honey, caramel and cracker aroma. Flavors are the same starting with some honey wheat bread and caramel. A light bitter citrus balance comes next. That's it! Clean, simple, easy drinker.